Printer British American Bank Note Company. Josiah Henson was born a slave near Port Tobacco, Maryland. He barely knew his father, who was taken from his family and sold. As a child, Henson himself was seized from his mother and also sold, but the two were subsequently reunited. In his youth Henson became a fervent Christian, and in 1828 the Methodist Episcopal Church ordained him as a preacher. By this time Henson had his own family and supervised operations on his master's plantation. Mounting evidence that he was to be sold away from his wife and children convinced him to escape. 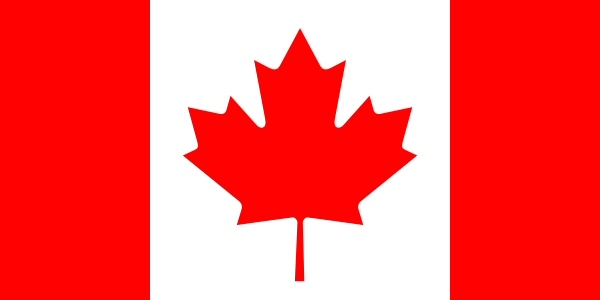 Following the North Star and carrying his two youngest children on his back, Henson arrived in Canada on 28 October 1830, where he resumed preaching and acted as a leader of other escaped slaves. He co-founded a settlement and school for blacks near present-day Dresden, Ontario. Henson, later became identified with the hero of the novel, "Uncle Tom's Cabin." 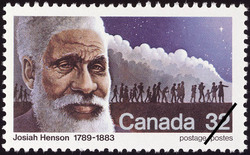 Tony Kew, a Toronto artist, has based this stamp design on an authentic portrait of Josiah Henson, combined with a symbolic rendering of the "underground railroad", which transported him and his companions to freedom.